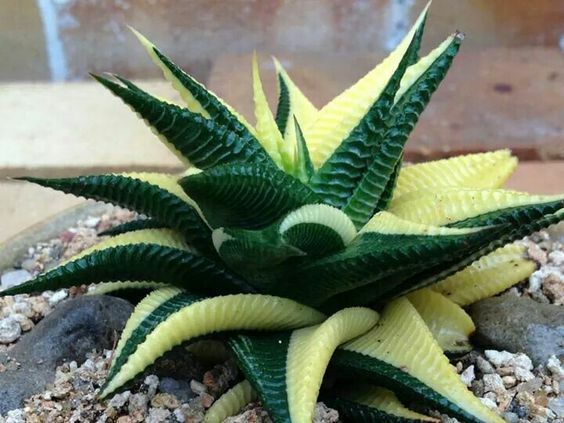 Haworthias originate from the landscapes of Southern Africa and are closely related to the Aloe and Gasteria cultivars. 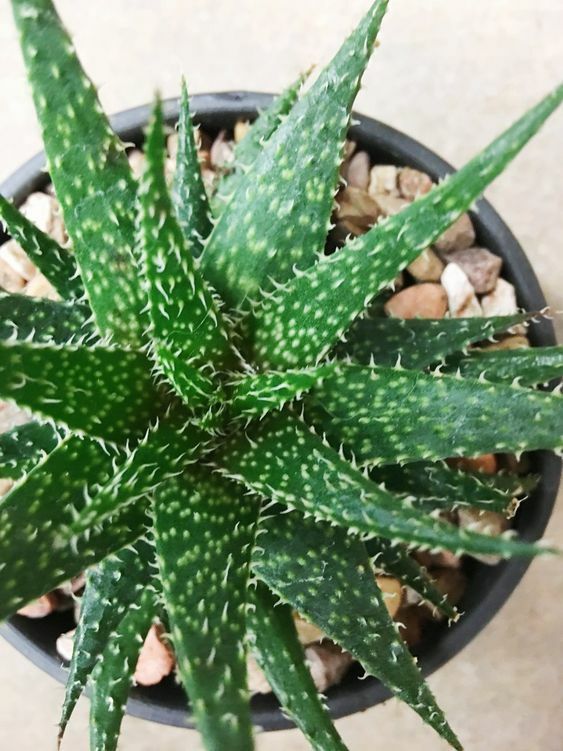 Haworthia, Aloe and Gasteria all are members of the Asphodelaceae family. Haworthia plants come in a wide range of forms, colour and textures. Most are rosette forming and relatively small, whilst others form a clump as they mature and some are even solitary growing succulents. In general, all have leaves and very fleshy roots. Their leaves vary in colour, shape and texture, from yellow to darkened green, from a smooth epidermis to finely haired. Further varieties have patterned and attractively marked leaves So vast are the cultivars available that you are sure to find a favourite of your own. Leaf shapes are as diverse as the colour choices, from pointed to rounded or even truncate – where they look as though someone has taken a pair of snips to them and cut off their leaf ends. With such a huge genus, today we’ll take a look at how to grow and care for your Haworthia plant. We’ll touch on seed sowing, plant care and propagation, plus any problems you may come across along the way. Whilst some Hawortias grow firm, tough and fleshy leaves, others grow softer leaves with translucent panels, known as leaf windows. These leaf windows allow the sunlight to reach internal photosynthetic leaf tissues, aiding in the plants process of photosynthesis. 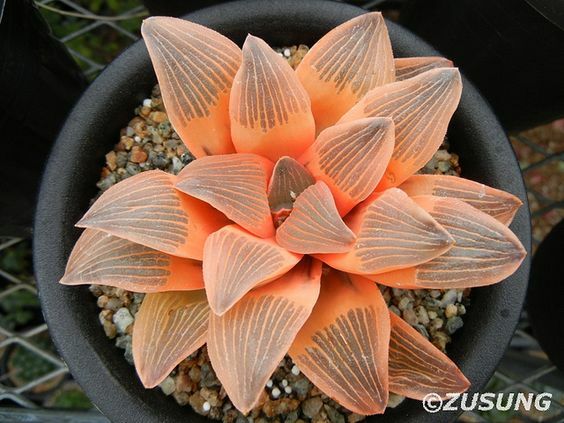 Let’s take a look at specific species to show the diversity within the Haworthia genus. 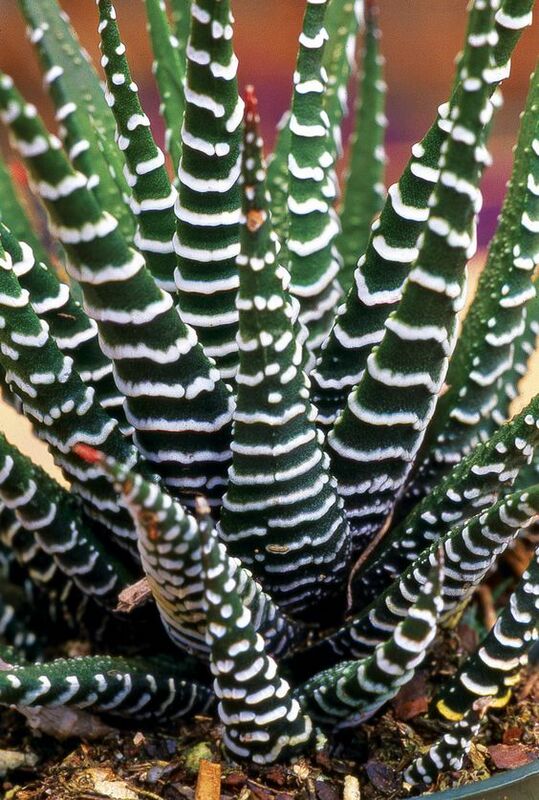 Now this is commonly known as the “Zebra plant” because of its striking white markings. An almost stemless, low growing succulent commonly found growing under bushes in the Bushveld and scrublands of the Eastern Cape, South Africa. As with all Haworthias, these prefer a slightly shaded environment, away from the fierce South African sun. Especially easy to recognise, the pearly white spots and stripes create quite a contrast on this perennials dark green pointed leaves. The H. pumilla is one of the most common species in cultivation and in maturity will form a low-growing, spiky mass of mat-like foliage. This species is variable, growing in many forms and varieties. Some will have just a few pearly white spots, where as others are heavily banded. Even parent plants can have an offset with many less or more markings than itself. The leaves are always concave and slender in form – these grow to a maximum height of around 25 cm tall, (10 inches) and up to 12 cm in diameter, (5 inches). The flowers are rather inconspicuous for that of a succulent – white-green in colour and pretty small on a towering stem. The H. bayeri can be easily distinguished from other Haworthias by its darker colour and rounded leaf tips. This species can be found growing in the Little Karoo area near the boundary between the Western and Eastern Cape provinces in Southern Africa. Plants within this range tend to have a rougher leaf epidermis, more suited to this arid summer rainfall habitat. 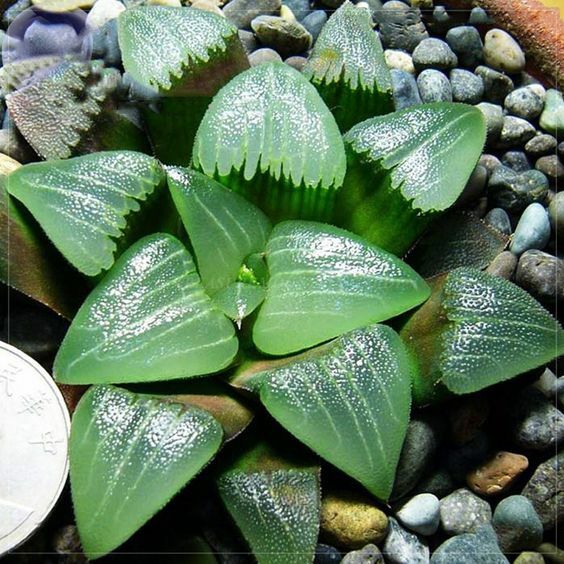 This is a “retuse” species of Haworthia, growsing sunken in the ground with its rounded leaves showing on the surface. A western form, commonly found natively inhabiting shale rocks. 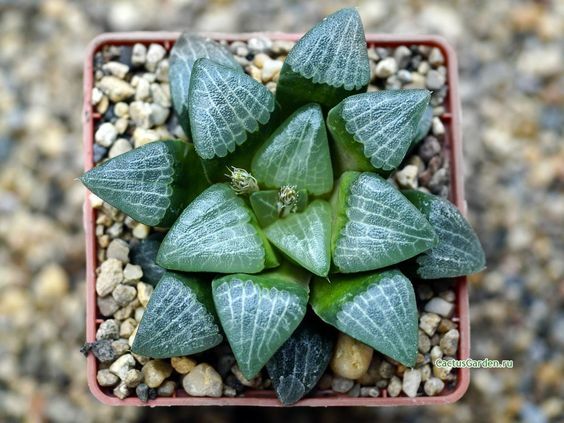 Unlike other varieties of Haworthia, the H. bayeri are solitary growers, rarely forming offsets. Its upper leaves are semi-translucent and usually marked with lines running from the central rosette to the tips of the leaves, often in a fine net-like pattern. Habitat destruction has caused a huge decline of native growing Haworthia bayeri, as has the illegal collection of this tough succulent for use by the horticultural trade. 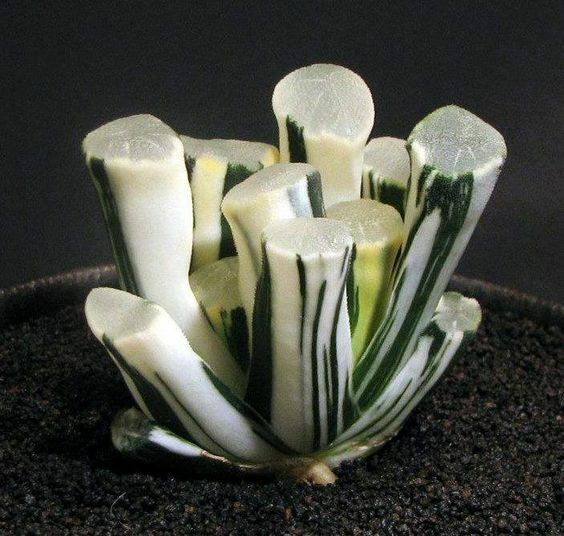 The H. emelyae is another stemless species of “retuse” Haworthia, native to the Western Cape Province of Southern Africa. 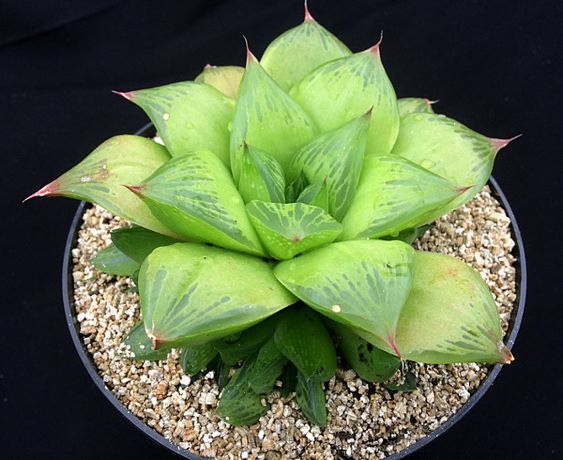 Turned back, olive-green leaves form the distinctive Haworthia rosette. This lays flat against the ground providing a reasonably level surface area. 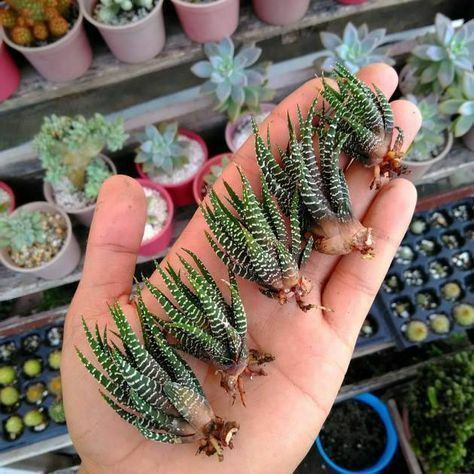 The Haworthia emelyae has proved to be a popular ornamental plant, whose leaves are distinctive in their outwardly curved, bulging and triangular appearance. 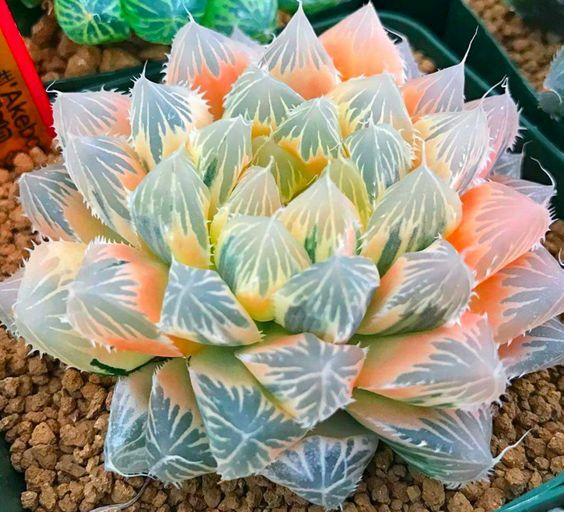 Each succulent leaf face has erratic pink vein markings which run both diagonally and horizontally. Typically, a slow growing species reaching around 10 cm, (4 inches), in diameter when fully grown. Small, tubular white flowers appear from spring to summer time on tall spindly stems. Often commonly known as the “Fairy Washboard”, this rather rare and striking looking succulent has wonderful, leaves marked with creamy yellow and deep olive-green stripes, running from base to tip. The leaves are very pointed and almost serrated in texture, resulting in a very tough and attractive specimen. In adult hood, you can expect the growing rosette to reach a diameter of around 10 cm, (4inches), with a similar height above ground. Given time, this plant will produce offsets. Each offset is another pinwheel rosette of colourful triangular leaves. When left, these variegated clusters create a mat-like form. Small and rather insignificant, tubular white flowers grow in clusters on long, thin stems reaching around 14 inches, (35 cm), from spring to summer time. 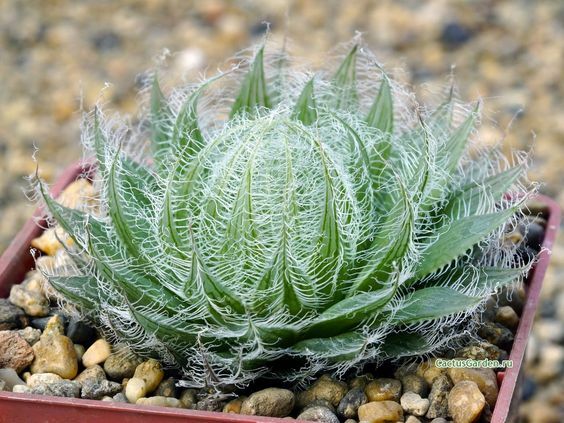 This is a wonderful sphere shaped Haworthia, sometimes known as the “Spider Web” Haworthia, due to its very fine, fibrous, web-like “teeth”. Its pale green pointed leaves, curl over each other, creating a sphere. Each leaf margin grows many “teeth”, which once curled over, results in a “spiders-web” covered rosette. Native to the Eastern Cape area of Southern Africa, these succulents are very slow-growing and commonly found on hills, under bushes or in grassy areas. This is definitely one for the pot garden, as they dislike being cold, wet or in a full sun position. Haworthias in the main have very fleshy root systems, which makes them susceptible to over-watering and eventually root-loss. Choosing a very open and free draining compost is ideal. “Open” compost will dry out sufficiently in between watering your plants. This is especially important around autumn time, when the weather turns cooler and losses can be a common problem. You can customize your growing compost by adding suitable mediums to your mix, such as sharp sand, grit, pumice or perlite. 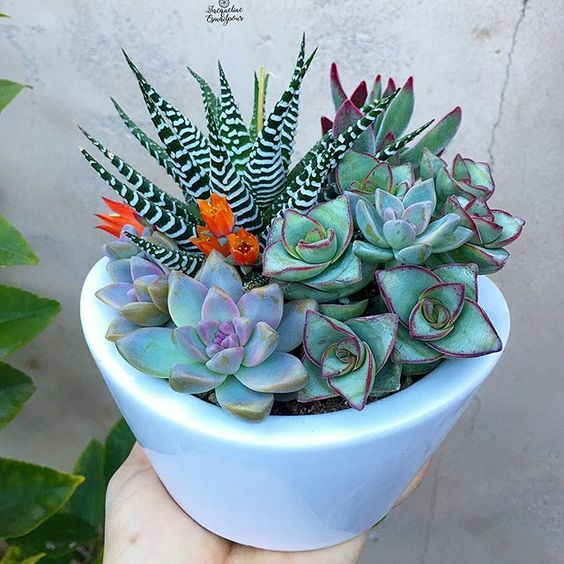 Many avid succulent growers reportedly omit much of the soil (or peat) from the potting mix, preferring to mainly use mediums such as heavy or light pumice, sand and perlite. I personally, always keep at least a quarter of organic material in my potting mix because it has more structure. I always use wide, black plastic pots for my Haworthia plants, these tend to retain their heat better than other colours. These are typically undemanding and have little preference to where they will comfortably grow. As discussed, these are semi-shade loving plants, so I would not choose to place them in a full sun site. Placing them on a sunny window sill or in a semi-shaded area of the greenhouse in just fine – think about giving them ideally around 30% – 40% shade with good ventilation. It is worth recognising that the leaf variegation on many species will be greater in ideal lighting and duller in too much shade. Natively, Haworthias grow in a sub-tropical climate with mild to warm winter days of 14 – 25 degrees C and cooler winter nights of 4 – 10 degrees C. Come summer time, preferable daytime temperatures range from around 25 – 38 degrees C, with cooler nights of 14 – 20 degrees C.
Haworthias enter their peak growing phase in spring and autumn time – where the days are warm and the nights relatively cool. Propagation is best carried out in this peak growing time. Haworthias which are growing in a light and free-draining compost can be watered from around mid-February. I would start with watering just once in February, building up to twice in March, (depending on the weather of course), and from mid- April through to the end of September, try for an ideal of around once every 10 days. Once October comes, wind the watering down again, leaving December and January water-free. If you have used a heavier compost mix, then you will need to water less and be especially careful in cooler and darker weather. By placing your potted Haworthias on gravel, you can ensure than all excess water drains away from the plants, preventing root damage. 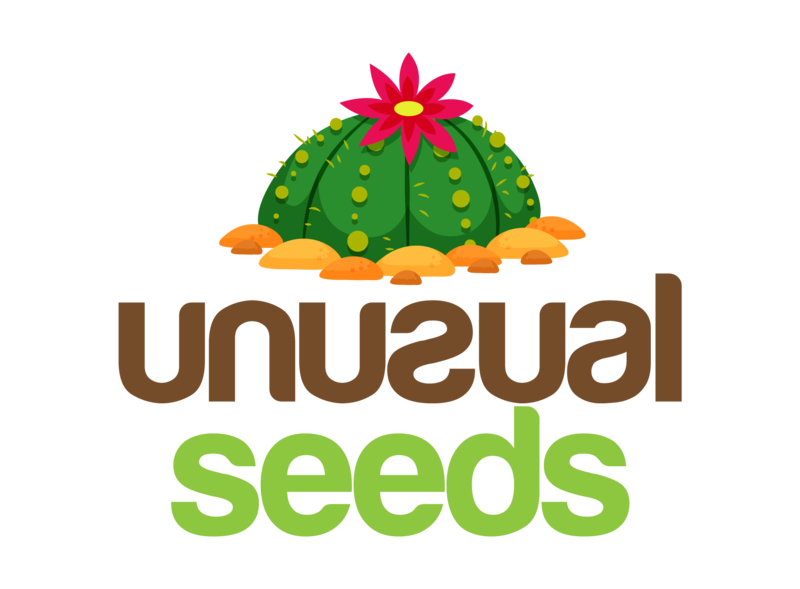 I would recommend using a diluted, nutrient balanced cactus and succulent feed from around mid-April, right through to the end of August. There are many great fertilizers on the market now which are specifically for cactus and succulents – any of these will be fine. Ideally, offsets can be removed from the mother plant using a sharp, sterilized knife. Leave both of the cut surfaces to dry out for a week or so, before potting up your offset. Sometimes you may find that you have a selection of offsets which have already started to form roots – these are especially successful. Leaf cuttings should be carried out using younger, healthier leaves than those around the base of your plant. Any leaves which have already started to dry out are not suitable for this practice. Healthy leaves can be removed from your mother plant, left to dry out for a week and then potted into small pots, with the leaf base just below the surface of your potting soil. New plants will often grow from the leaf base. You can also choose to plant seeds. Seeds will readily germinate when sown on top of moist compost, and placed on a sunny windowsill. The temperature will need to be around 25 degrees C, that’s 77 degrees F. Ensure to keep the compost moist for the first few months – by this time, your seeds will have germinated and the young seedlings will have produced some good root growth. As with all plants, there is usually some pesky pest waiting around the corner to make life interesting. That said, Haworthias are relatively trouble-free. Be aware of the occasional bout of Mealy bug – (this will show itself as tufts of white fluff), and possibly Red Spider Mites. The most common cause of plant loss is through over-watering. There are no other diseases which commonly strike plants of the Haworthia genus.